STM32F4 Discovery Shield is an extension for STM32F4 Discovery Board from STMicroelectronics. It carries four mikroBUS host sockets, USB-UART module and CAN transceiver. 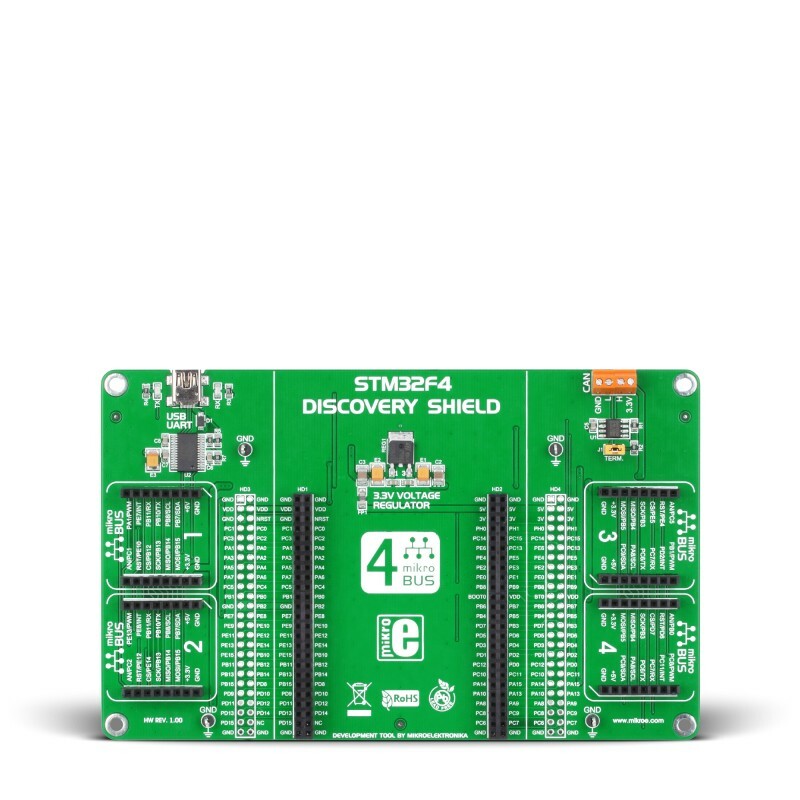 STM32F4 Discovery Shield is an extension for STM32F4 Discovery Board from STMicroelectronics. It carries four mikroBUS host sockets, USB-UART module and CAN transceiver. 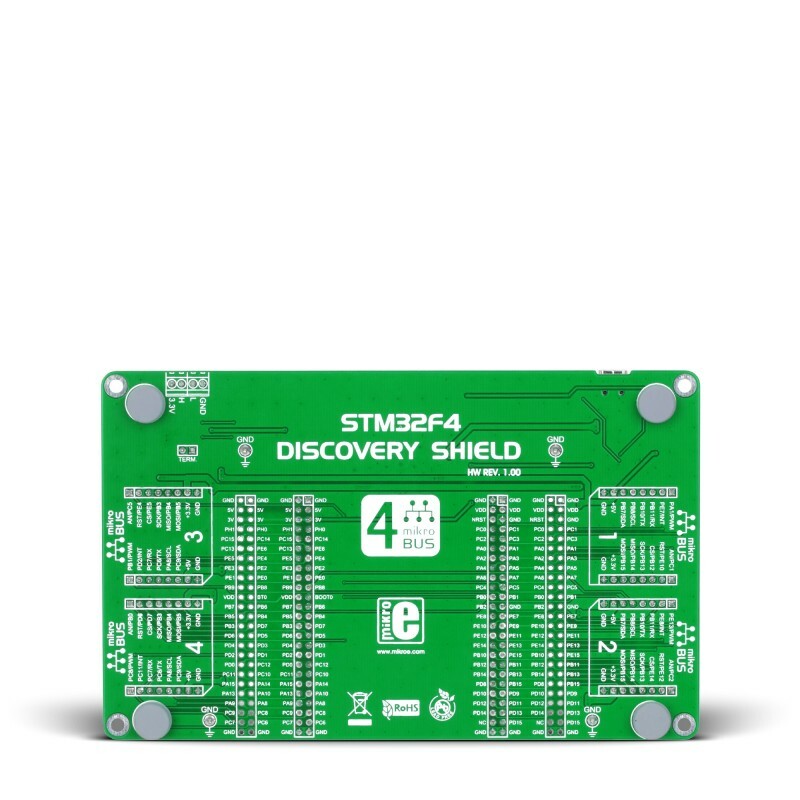 Use it to quickly turn your Discovery board into a RFid lock, SMS-triggered control switch, GPS tracking device, full-blown weather station, or whatever else you have in mind. Assemble your prototypes quickly using Click additional boards. Just snap them into mikroBUS sockets, like LEGO blocks. Click boards come with examples written in mikroElektronika ARM compilers, so you have a great code base for your future projects. Key Features On-board USB-UART module (FT232RL) and CAN transceiver (SN65HVD230). Four mikroBUS host connectors for attaching Click add-on boards.